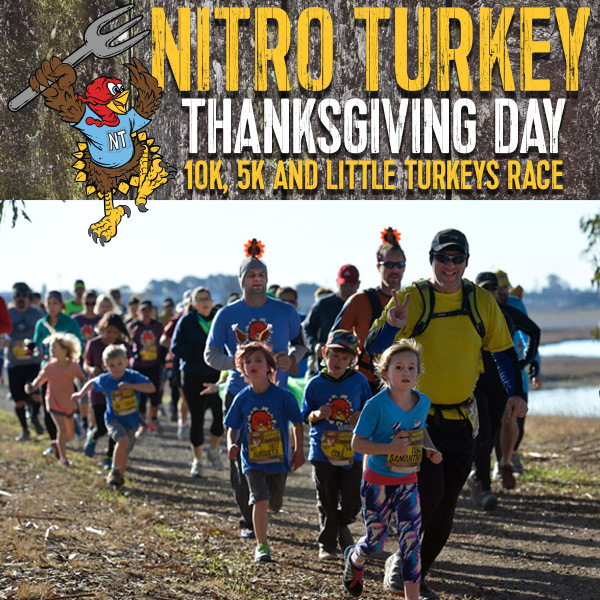 RUN THE DOUBLE TURKEY CHALLENGE! 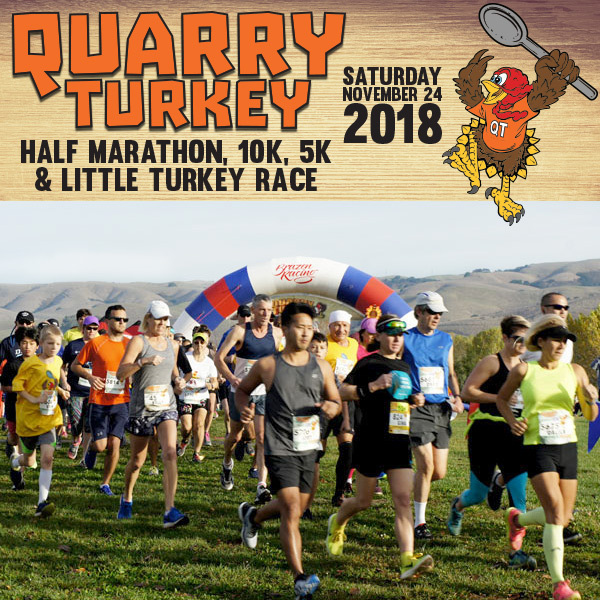 Participate in both of Brazen Racing's Thanksgiving events (Nitro Turkey on Thanksgiving Day and Quarry Turkey on Saturday, the 24th) and you will be eligible to receive a special connector medal that unites the medals from both races to create a mega medal. 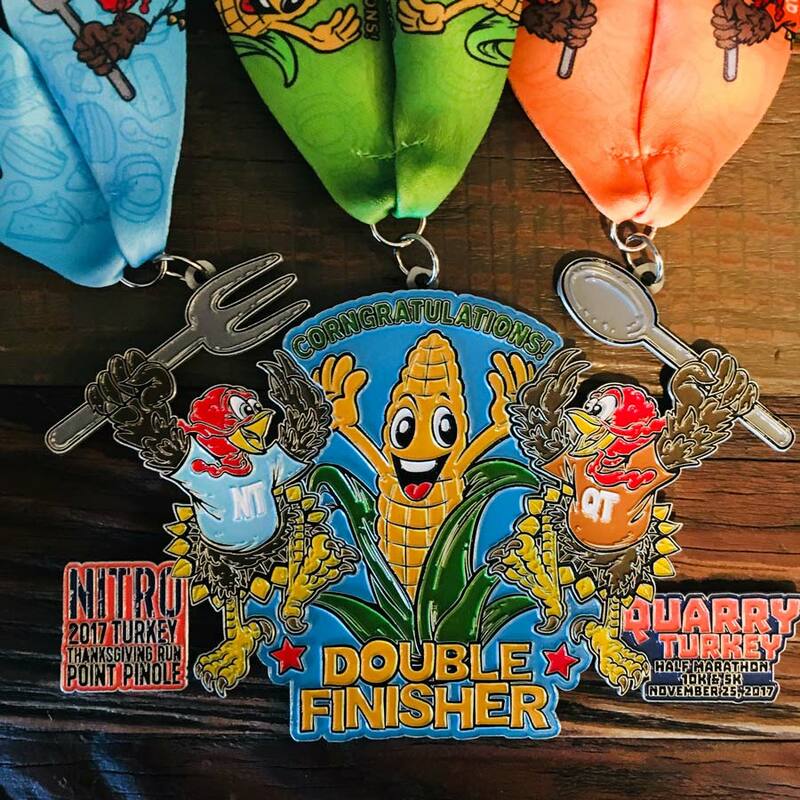 Last Year's "Corngratulations" Mega Medal!